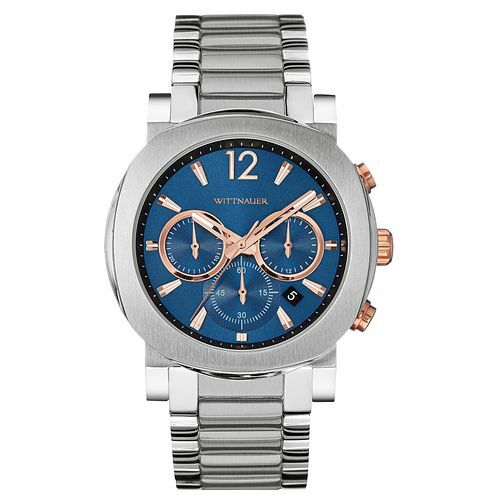 This chronograph from Wittnauer's Aiden collection features a brushed case and two-tone steel bracelet accented with a blue dial. This is a very smart and elegant watch which also features rose gold-plated appointments on the dial to illuminate this piece. As well as featuring a traditional chronograph, there is also a date aperture for added functionality.